I don't know about you, but I love fall! I love cozy sweater weather, the smell and crunch of crisp autumn leaves, and of course pumpkin spice everything. 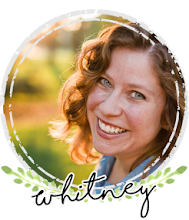 It's Whitney here from Whitney à la mode and you may be wondering why I'm starting my Summer Series post with a love letter to fall. 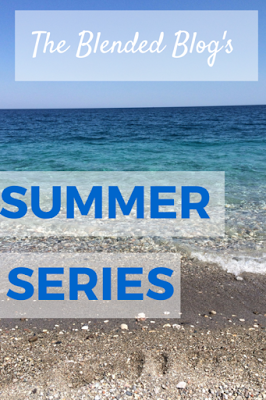 Well friends, in an effort to truly embrace the end of summer (as opposed to prematurely jumping into the next season), I'm here today to remind myself (and you) why this is a lovely time of the year! Like most of us, I usually associate football season with fall. But while we technically still have about a month of summer left, football season is in full swing! Why not embrace the best of both worlds and enjoy tailgating before the cold, rain, and even snow make an appearance? It's so nice to be able to wear my favorite Michigan State t-shirt without worrying about all the layers. 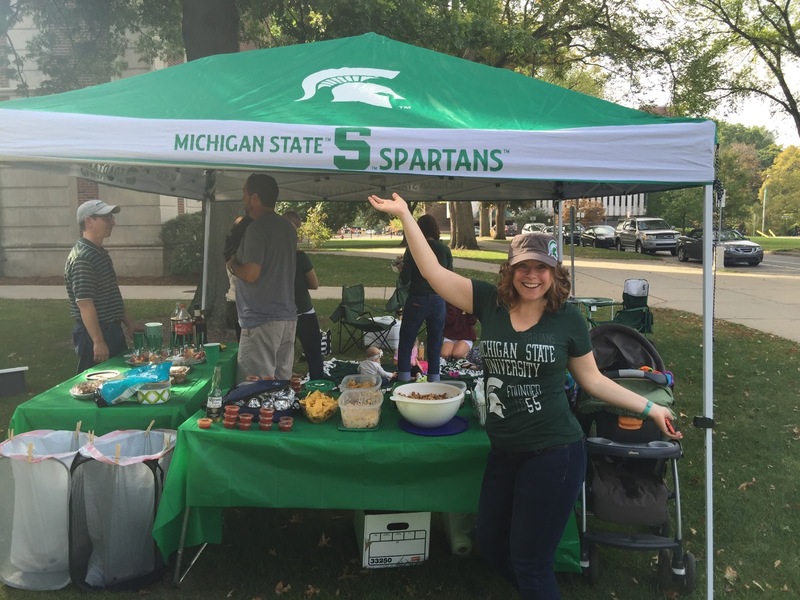 You also have to admit that it's nice to indulge in your favorite tailgating finger foods without the constant pulling on and off of gloves. So let's leave those space heaters at home and enjoy the weather! Go State! I'm no discriminator when it comes to coffee. I love it hot or iced, home-brewed or from my favorite coffee shop, with a little milk or full of sweet syrup! While I'll enoy my hot coffee when the time comes, I will embrace my favorite iced brews for a couple more weeks. 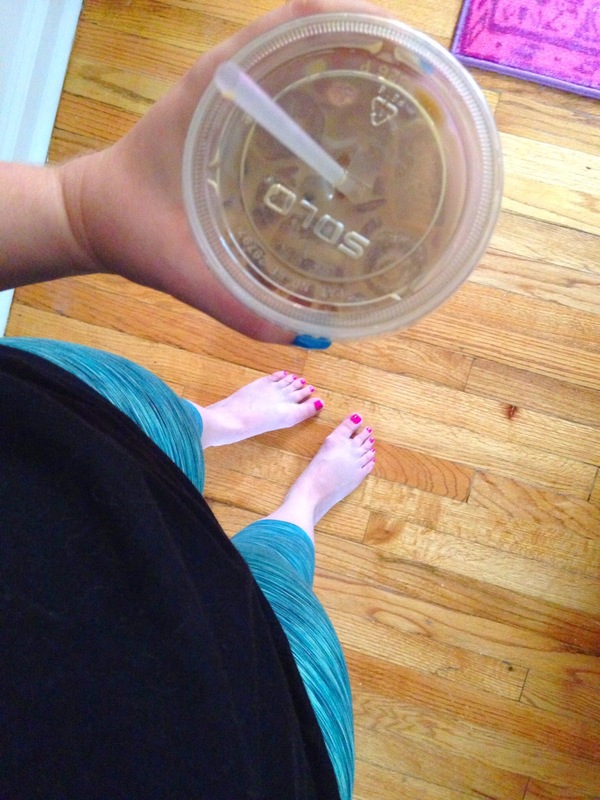 This summer I discovered a great local coffee shop called Strange Matter Coffee Co. If you find yourself in the Lansing area, I would highly recommend the Nola Iced Coffee with almond milk. Delicious! Finding a great restaurant and enjoying food and drinks on their patio never gets old in my book! Unfortunately, Michigan weather only allows this possibility for a few short months of the year. I plan to enjoy this luxury while it lasts! 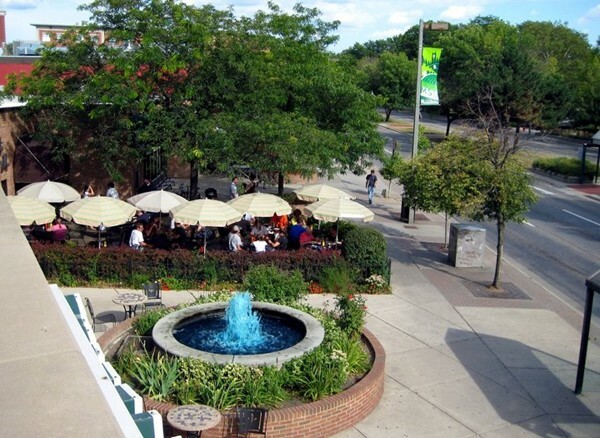 My favorite local patio is the Peanut Barrel near Michigan State's campus. I would highly recommend the olive burger and a long island! Hmm, perhaps this should be my plan for dinner tonight! Why is it that fresh cherry tomatoes from the garden taste so much better an any other tomato?! While apartment-living doesn't allow me my own garden, I'm lucky to have friends with an over abundance of freshly-picked tomatoes this time of year! I could snack on them plain all day long but it might be fun to try a few new recipes this month. 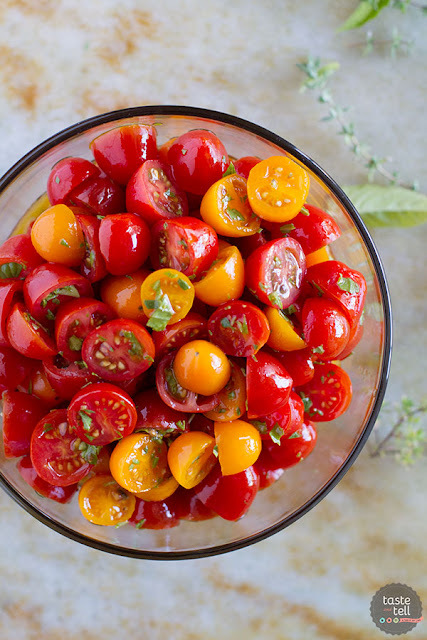 This simple tomato salad from the blog Taste and Tell looks so fresh and delicious! While summer isn't my favorite season, I might like summer beverages the best. They can be so light, fruity and fun! During a recent beach weekend I discovered Barefoot Refresh Spritzers. 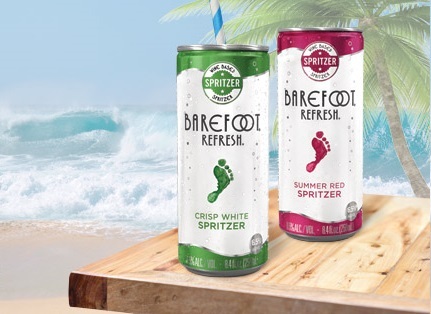 I had tried Barefoot-brand wine before but these fizzy spritzers are such a great twist on wine for warm summer evenings. They even come in single-serving cans, perfect to pack for the beach! Papa à la mode: "Great time of year to golf." Sister à la mode: "How about perfect weather for morning and evening walks and last end of summer ice cream treats!" So there you have it, friends! Did I convince you to remain excited about the end of summer before jumping into fall? What is your favorite thing about this time of year? Do any of our reasons match?